Dr Harsh Vardhan, Union Minister for Health and Family Welfare, has asked for thorough streamlining of systems in the distribution of free generic drugs to government health institutions at all levels throughout the country. The Free Drug Programme’s formal launch would be preceded by working out all logistical details with respect to procurement and distribution in consultation with the state governments. The National Health Mission (NHM)’s two sub-mission -- the National Rural Health Mission (NRHM) and National Urban Health Mission (NUHM) – will be vehicles for implementation of the programme. It was formally cleared by the Union Cabinet in May 2013. But till date its implementation has been limited to a few, big-city hospitals as the infrastructure for procurement and distribution was not put in place, the Minister stated. The Minister, who was reviewing the NHM with the Ministry’s officials yesterday, has therefore decided to call a meeting of state health ministers under the framework of the Central Council of Health (CCH) in the near future. The CCH, which also includes professional experts, has not met for a number of years. “I am sure my colleague health ministers in the states are keen to ensure the success of this programme,” the Health Minister said. The Planning Commission had estimated that the free generic drug programme would cost Rs 28,560 crore during the 12thPlan period (2012-17) and had made its first financial allocation during 2012-13. While the Centre would bear 75 percent of the cost, the states are supposed to contribute 25 percent. Under the programme, 348 drugs under the National List of Essential Medicines are to be provided free from 1.6 lakh sub-centres, 23,000 primary health centres, 5,000 community health centres and 640 district hospitals by the end of the programme. The states have also been requested to add to the Essential List according to their local needs. Dr. Harsh Vardhan also said that standard treatment protocols would be developed in consultation with experts and coded to ensure that unnecessary and irrational administration of drugs is avoided. In this context the Minister reminded that when he was Health Minister of Delhi (1993-98), he had implemented for the first time the World Health Organization’s “Essential Drug Programme”. The “Delhi Model” of discerning first the essential from the fluff, and then distributing them in the public health system, got global recognition, the Minister stated. “The NHM will be heavily e-governed to ensure minimum slippage and zero corruption. The despair faced by poor and middle class families when a member falls ill would become a thing of the past,” Dr Harsh Vardhan said. NHM has been in existence since 2005 and two years of the 12th Five-Year Plan have passed. 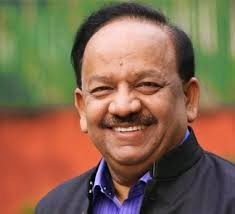 Dr Harsh Vardhan said that it was time to introduce some reforms so that the NHM’s reliability and transparency iterate in Shri Narendra Modi government’s “Health for All” resolve. The Health Minister has therefore decided to make NHM more participatory and inclusive by recruiting the synergy of voluntary sector professionals and experts in different specializations. A new Standing Appraisal Group of Experts would be formed soon. It would meet frequently to take stock of reports from voluntary sector experts as well as the officials’ reactions to the same. NGO heads with proven track record will be invited to be part of the reform process. Women specialists would receive special status in the Ministry’s new scheme of things. “As women are the worst victims of a dysfunctional public health system, I want their concerns to be addressed on a priority basis. The gender-blind nature of government delivery systems is proving counter-productive”, he pointed out. Young women recruited as Accredited Social Health Activists (ASHA) are important stakeholders in NHM. But they are yet to get fixed wages and there are many impediments to their smooth functioning, the Minister stated. To mitigate this, the Minister has decided to have an open meeting with ASHA within the next few weeks. This will be part of the Minister’s initiative to have a hands-on role in NHM’s implementation. “I will sit with ASHA representatives and hear from them personally what their feelings are about NHM on the ground. I have firm information that the whole system is plagued by ad hocism and duplication of authority and I believe that the best way to do it is by addressing the human resource problems at the grass roots. Unless the lowest health worker is happy the system cannot benefit the people,” he said. International experts have warned that a “diabetes epidemic” is sweeping India. Dr Harsh Vardhan pointed to the good work being done by S-Vyasa University, Bangalore, in treating diabetes with yoga. Apart from that the Karnataka Institute of Diabetology and the non-government M.V. Diabetes Hospital in Chennai are reaching low-cost Diabetes treatment to thousands of people. “Diabetes management begins from avoiding it. And for this NHM will have a special communications arm to spread awareness on better lifestyles and food habits which are necessary to avoid getting this debilitating condition. Even teenagers are getting it which is worrisome for the government,” Dr Harsh Vardhan said. The Minister also stated that combating on a war footing Malaria, Filaria, Encephalitis, Chikungunya, Dengue, TB, Kala Azar, measles, leprosy, etc., would henceforth be components of NHM’s sub-missions for rural and urban areas. This will be in line with the overarching “Prevention is Better than Cure” strategy of the Ministry of Health and Family Welfare. The Health Minister said, “The NRHM is bogged down in unforeseen problems while the NUHM is a non-starter.” He expressed confidence that through inter-ministerial cooperation and good, transparent best practices in governance the NHM can be made a gold standard in public health programmes internationally. “Financial resources are not the problem, what has been missing till now is the human resource mobilisation aspect. Every cog in the wheel matters and we have to prove that,” Dr Harsh Vardhan said.